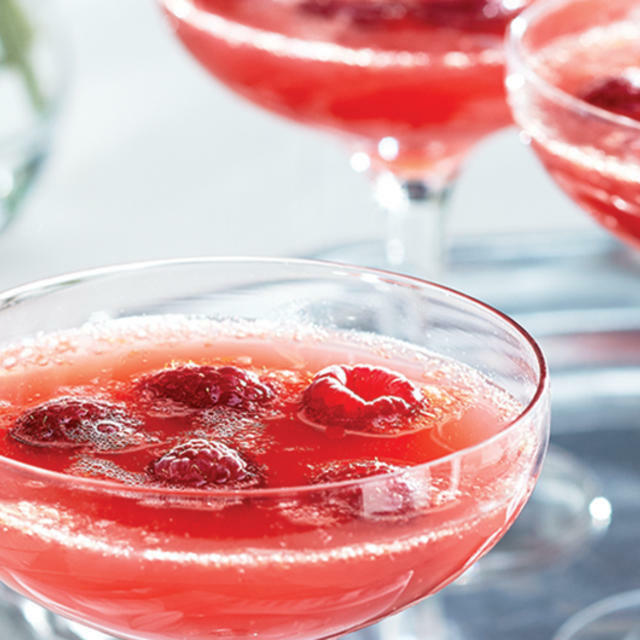 Divide raspberries among 8 fluted glasses. Pour 1 1/2 fl oz (3 tbsp /45 mL) grapefruit juice and 1/2 fl oz (1 1/2 tsp/7 mL) grenadine into each glass and top with sparkling water. To turn this mocktail into a cocktail by substituting sparkling water with sparkling wine.